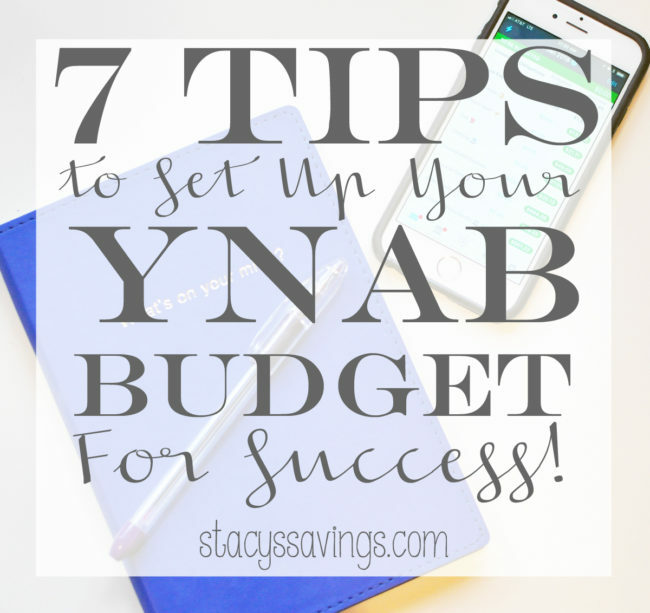 Since I’ve been using (and loving) the YNAB budget system for over two years, I have a category for beauty products where I put about $25 a paycheck. This category is for replacing products that I’ve run out of or trying something new. I tend to let this category build for a while, and then drain it all at once. When I buy beauty items, I ten to buy several at time. 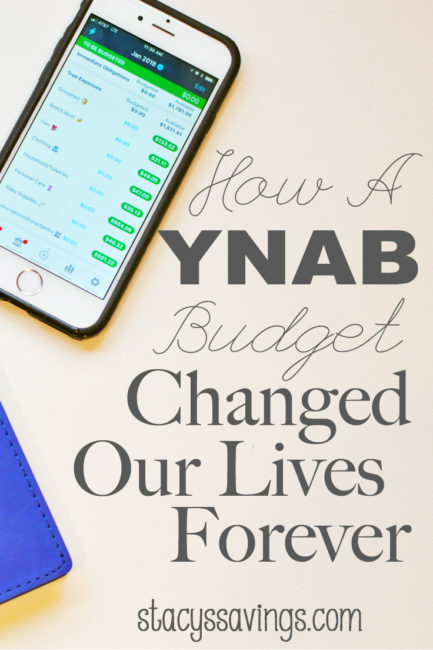 A long time ago, pre-YNAB, I used to love spending an hour at Ulta or Sephora and getting a nice haul of a handful of new, pretty products. Lately, I’m much more intentional when I shop, and I rarely go to the store anymore. First, I shopped Amazon! Let’s see what I got! I needed to replace a couple of items that I had to toss for being expired. First, the Mario Badescu Drying Lotion and Special Healing Powder. My skin has been so much clearer since I’ve been using Rodan + Fields Unblemish, but I still get the occasional pimple. Mario Badescu Drying Lotion usually does the trick overnight. I love this stuff, but I couldn’t remember when I bought my previous bottle, so it got tossed. 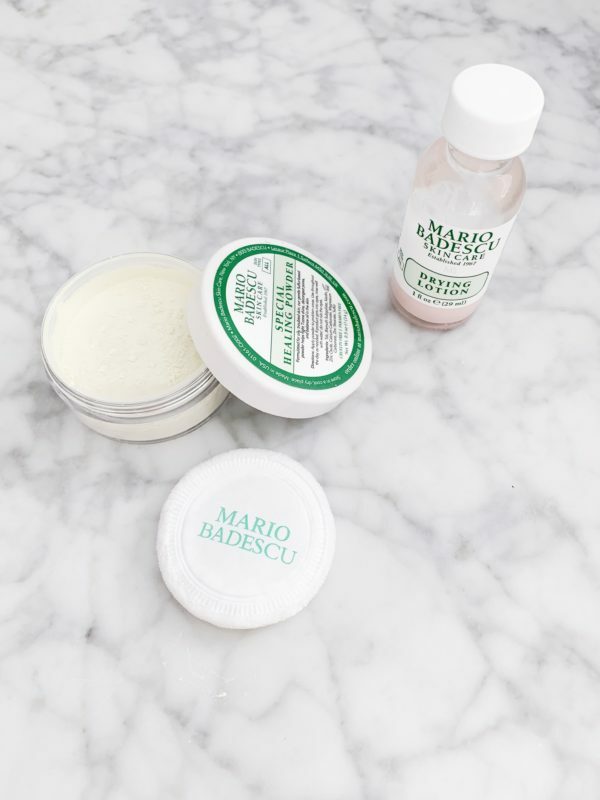 The Mario Badescu Special Healing Powder is new to me, and I’m excited to try it (though not excited to get a pimple so I can). 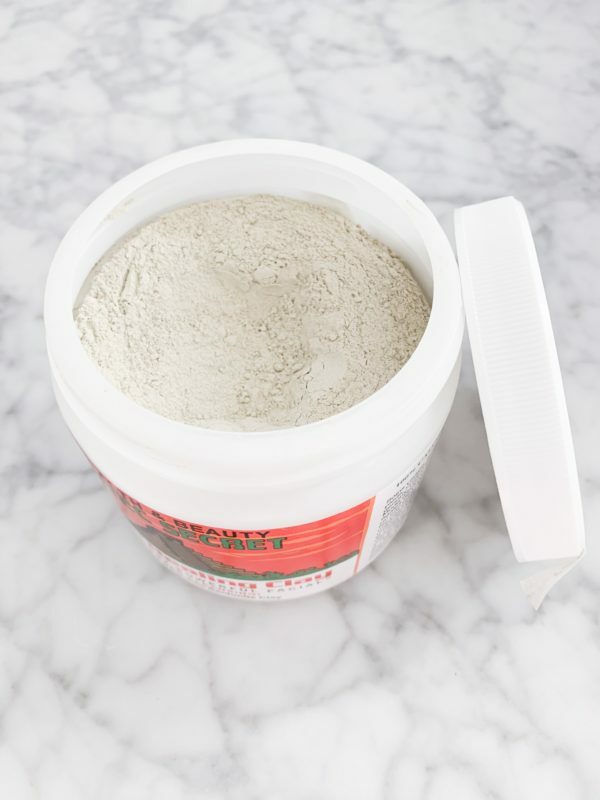 Many years ago, I used a product by BareEssentuals that was a powder pimple treatment, and I loved it! It also got tossed in the Konmari Purge of the makeup drawer, and it’s since been discontinued. I found this on Amazon and the price was right, so I decided to give it a try. The Special Healing Powder is similar to the BareEssentuals except the powder isn’t skin-tone color, its a little greeny-yellow. It does blend invisibly, and I like that you can put it on before concealers to act as a barrier layer. This powder seems to be the same product as the one I loved, so I’m glad I have a fresh version on hand for when that next blemish shows decides to rear its ugly head. 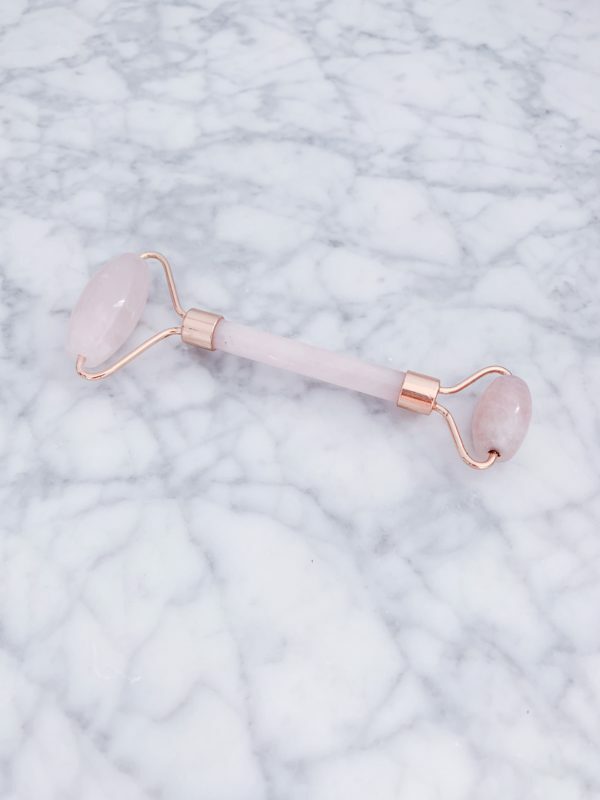 I’ve been looking at Jade & Quartz Face Rollers for a few months. I have 3 things on a Woo-Woo wishlist: jade roller, salt lamp, and an oil diffuser. I’m not sure what to do with any of that stuff, but I feel compelled to have them. Maybe because I’m under heavy stress constantly due to battling our health insurance company, I’m trying everything I can to relax. I even got a weighted blanket for Christmas, and I’ve been forcing myself to stop the chores and read a book a little bit each day. So far, I’ve read more books in 2019 than I have in the last 5 years combined. Thanks kids! But I digress. 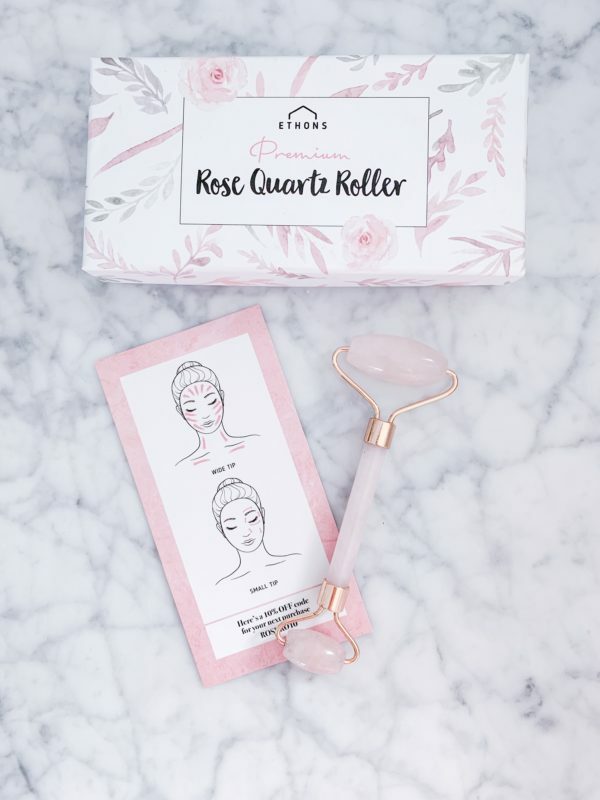 I found this cute Quartz Roller on Amazon that comes in this perfect little gift box. It’s cold. It’s pink. It feels great when I use it. I’ve incorporated it into my nighttime routine after putting my serum on my face. I have no idea if its doing anything, but it makes me happy. Even the box is cute. This would be a perfect gift for a friend or to take to one of those Favorite Things Parties! Finally, I did it. I bought the Amazon Clay Mask that I’ve been tempted by for over 5 years. Its cheap, so I don’t know what my problem was and why I didn’t just get it. Whatever, I’ve got it now. 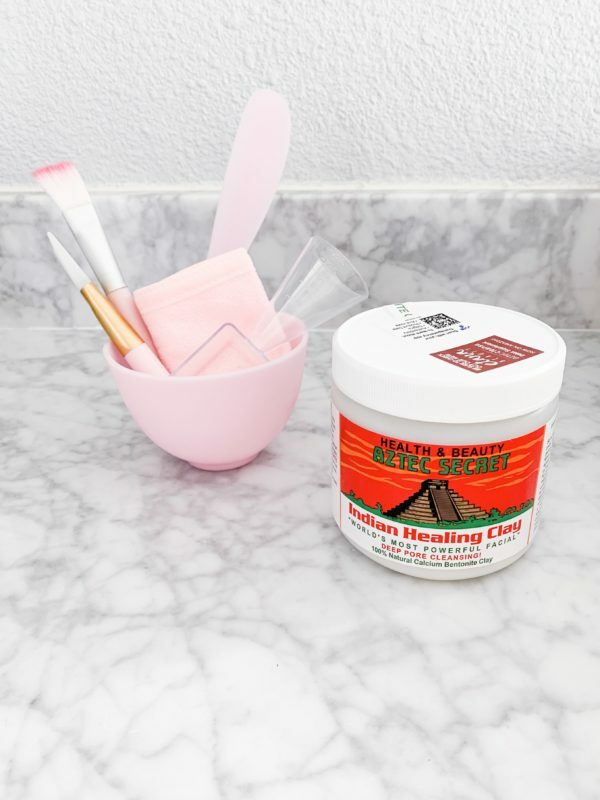 This mask has super high reviews on Amazon as the most powerful face mask. It deep cleans your pores, and your face pulsates. I added this mask to my skincare routine that I’m trying to stick to this year. It’s my Wednesday night indulgence. The verdict? I love it. It smells awful, but it really works. I’ve used it twice so far, and my skin feels smoother and clearer. It’s amazing! I mix just a little bit with this raw apple cider vinegar, and let it sit on my face while I read a couple chapters of my book. The directions say to use equal parts mask powder and vinegar, but I use a little less vinegar than equal. The next test is to get Doug to try it on his nose! Ha! You do need a little plastic or silicone mixing bowl for this mask, and I found a cute affordable little mixing set on Amazon. It’s pink, and comes with a bowl, a spatula, a brush and a silicone wand, a measuring scoop and a headband. This set is easy to use and clean. I highly recommend it! That concludes my Amazon shopping trip. I’m really happy with all of these products, and everything shipped quickly with Amazon Prime. I even got a few of them the day before they were scheduled to be delivered! I love when that happens, don’t you? I had one more online shopping trip that was kind of a treat. You might have seen a small Ulta haul I posted on Instagram shortly before my High School Reunion this past Fall. The makeup artist that helped me used these dense paddle-style brushes (is that what they’re called) to blend the makeup he was showing me. Ever since then, I’ve been wanting a set for myself. A couple of weeks ago, Ulta had Real Techniques brushes on sale Buy One Get One Free. They have 5 different sizes of these brushes, so I got all of those, an all-over blend brush, foundation brush, contour brush, blush brush, and a crease brush. Since the brushes were Buy One Get One Free, and I had 5 in my cart .I had room for a freebie! This Kabuki brush is super cute, so that was my choice for the 6th brush! I got free shipping, and I was able to use a coupon, and I had $8 in rewards. 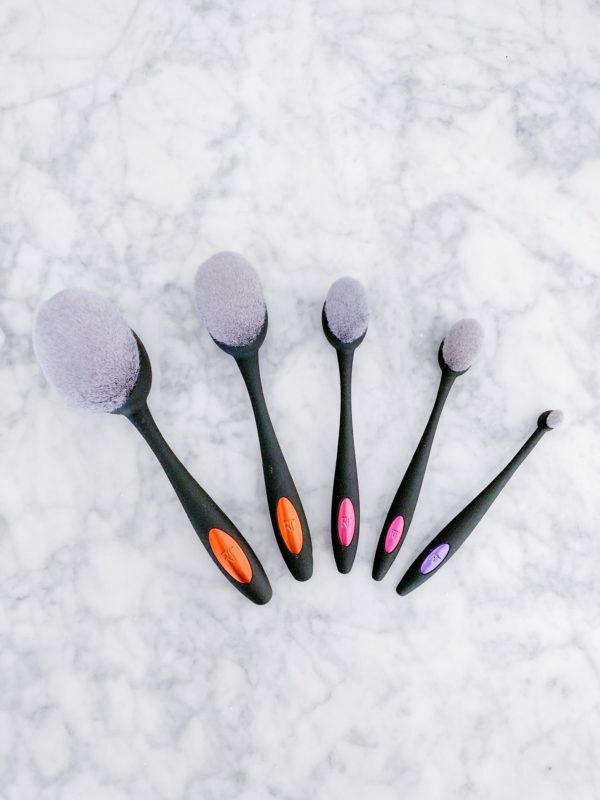 I got all 6 brushes for less than $50 shipped! 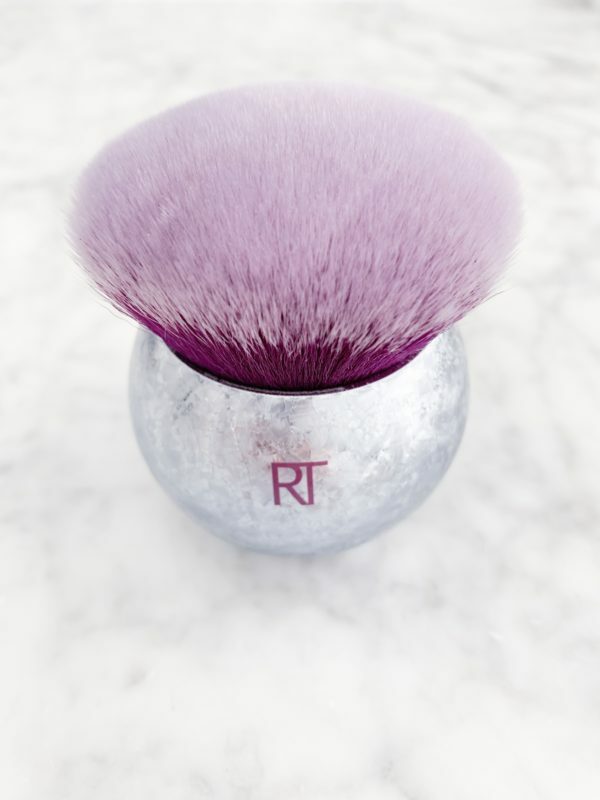 The brushes are really great quality, and very soft. I’m really happy with them, even though I’m still learning how to use them. I love the kabuki brush! I tossed my old one because it had seen much better days. My daughter absolutely loves the purple & glitter finish. That’s my beauty haul from January! Do you use any of these products? What do you think? Do you have any favorite products that I need to know about? Tell me in the comments! 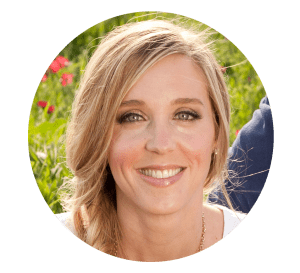 I link all of my favorite products in lots of different categories in my Amazon Store. 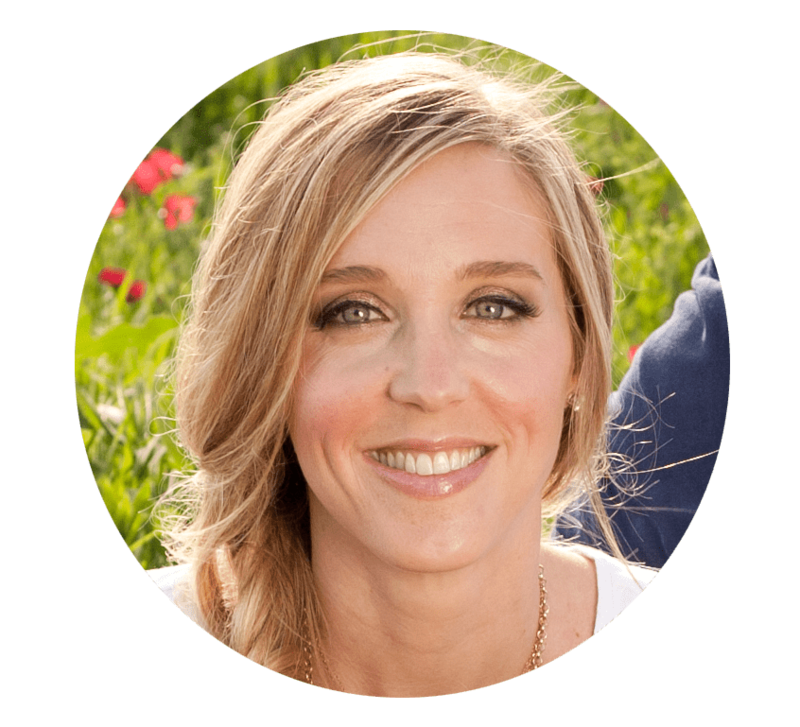 I’m constantly updating it, so make sure you check it out for my latest favorites!